I understand that different types of athletes focus on varied muscles throughout their body. A golfer does not need the same treatment that a weightlifter needs, for example. Each of my sessions are specifically customized to fit the needs of each client. My massage provides specialized bodywork for athletes and those seeking pain management and prevention. I offer treatments that consist of a variation of deep tissue, sports massage and neuromuscular therapy. Asian cupping and Gua Sha are additional techniques that I can incorporate. The NormaTec Recovery system is a dynamic compression device designed to enhance blood flow and speed recovery. The system has a control unit and attachments which go on the legs and arms and use compressed air to massage your limbs, mobilize fluid and speed recovery. Drop in for a 30-minute session. Available to new clients only! Take advantage of this customized, 1-hour session that is specifically designed to meet your needs. We meet with all new clients individually to assess your needs before we begin any of our services. Whether you are an athlete wanting to maximize your performance or a businessperson needing to reduce tension, this session is the best place for you to start. This is the perfect session to use as recovery from a tough workout or to unwind and relax after a long day. We know you are always on the move. Swing in for your 30-minute, personalized session. If you are looking for a more extensive and focused session the 60 minute one is a perfect fit. Immerse yourself in a personalized session focused on all of the specific areas we need to target. Whether you’ve been in a competition or gone through a grueling day in the office, we will give you the personalize recovery that you need. Give your body the full treatment that it both needs and deserves. Our 90-minute session is designed to help you fully recover from what life throws at you. 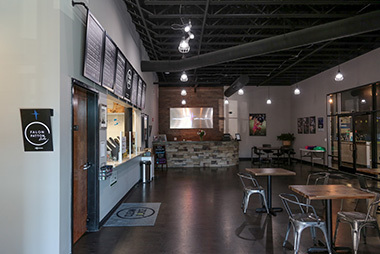 Through this expansive and immersive session, we will personalize your treatment and ensure that you receive the most comprehensive and necessary treatment. I am a Licensed Massage & Bodywork Therapist serving Charlotte, North Carolina and surrounding regions. With more than 5 years of experience, I’m driven by a keen focus on combining a passion for physical well being to a professional career. I specialize in massage and bodywork for athletes of all abilities. My previous vocational experience includes working with a chiropractor specializing in neuromuscular and deep tissue work. Additionally, I have experience treating CrossFit athletes, NASCAR drivers and pit crew members, NFL players, competitive swimmers and triathletes. My primary focus is working with athletes to improve flexibility and performance while lessening the chance of injury. 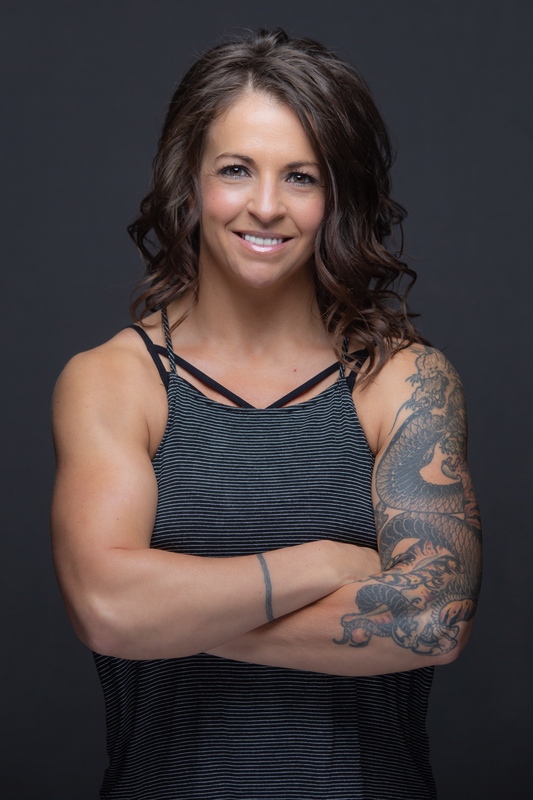 I am an avid Olympic Weightlifter and CrossFit athlete, which allows me to better understand the importance of massage therapy for an active lifestyle. My goal is to help clients maintain a healthy and active lifestyle; one that is focused on self-care and well being. I also work closely with clients in need to help manage problems resulting from the stresses of everyday life and work, such as neck and lower back tension, and other issues like sciatica, plantar fasciitis, and TMJ. Because I use a combination of intuition and massage techniques, each client receives a customized treatment that is personal to them. My promise to you is that you will never receive a generalized treatment. I will listen, evaluate, and provide a focused treatment, every time. Corrie did a fantastic job! I instantly felt relief as soon as I put my feet on the floor. She educated me on exercises that I can do to help with my tight calves and Achilles and also was honest and said it may take more than once to help. But that is the type of massage therapist I need because it takes time to get the great care we need for our bodies! My family and I have been seeing Corrie for years and she is absolutely the best! She is so knowledgeable & caring. We know whether seeing her for preventative care or an injury, she is on it and always knows what to do to keep us going and feeling great! Corrie is seriously the best massage therapist I’ve ever been to (and I have been to an alarming amount of them). She is very easy to talk to, extremely knowledgeable, and actually gets results. For anyone who is in pain, you need to see Corrie! I won’t go anywhere else. Been to Corrie since she opened! She is awesome ! Book an appointment with her. You will not be disappointed !! 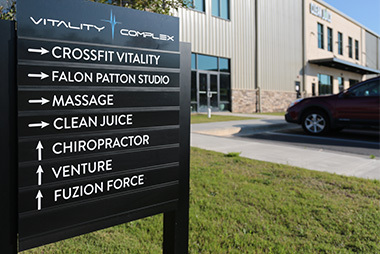 Corrie Cooper Massage and Bodywork is located inside of the Crossfit Vitality complex. You can enter through the main doors just under the Clean Juice sign. 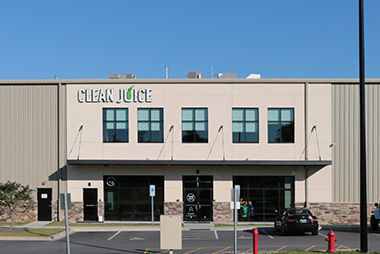 Once you have arrived for your session, we will meet you at the Clean Juice bar.